Remembering Mary Sullivan | Remembering Mary Sullivan | De Soto Obituary Search | Dietrich-Mothershead Funeral Home, Inc. Remembering Mary Sullivan | De Soto Obituary Search | Dietrich-Mothershead Funeral Home, Inc.
Mary Ann Sullivan was born September 3, 1946 in Washington D.C. She was the daughter of Adrian and Alice (nee Lloyd) Boschert. 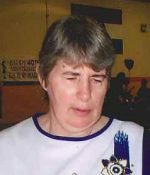 She passed on November 26, 2018 at Mercy Hospital Jefferson in Festus, MO at the age of 72 years. She is survived by her children, Donna (William) Alford, Hillsboro, MO; Richard (Debby) Sullivan, Jr., Washington, MO; and Mary (Jerry) Weiss, Florissant, MO; one sister, Eileen (Don) Crosno, Portageville, MO; three brothers, Fred (Trudy) Boschert, St. Louis, MO; Jim Boschert; and Don Boschert; grandchildren, Brian (Lacey) Sullivan; Michael (Marie) Alford; Sarah Alford; Alex Weiss; and Alassa Weiss; three great-grandchildren. She is preceded in death by her parents; husband, Richard Gerald Sullivan, Sr.; one sister, Virginia Dettmer; and one great-grandchild.